I finally read Gone Girl! Hello 2012! I realize that everyone else in the world has read Gone Girl, but I finally got around to it. At first, because I’m a jerk, I didn’t read it because it was popular and everyone was reading. If everyone likes it, it must appeal to the common masses and therefore is crap. I am not going to waste my time reading a popular thriller. I was an English major! I’ve read Henry James! Did I mention I’m a jerk? There’s a little part of me that is still really snobby. That part of me loves to read poetry, literary fiction, Thomas Hardy and Henry James books (even though they don’t always seem to esteem women so much), the more enlightened end of the YA spectrum. I really am insufferable sometimes. Most of the time I’m ok with being a snob and other days I feel really bad about it. I also believe that you should read what you want, and sometimes that butts heads with my snobbery. So for me, I’ve just decide to do a little of both. Read something with “literary merit” and then read something not so critically well-received. 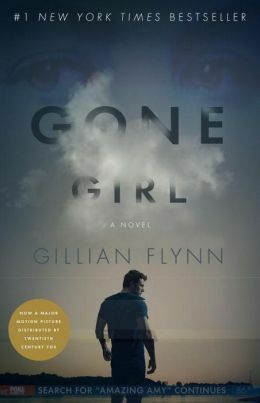 This summer I wanted to read Gone Girl I mean, everyone was talking about it three years. It’s been so popular that they’ve already made a movie of it and everyone else has moved on. Not me! I finally read and I did really like it. It was actual a review in the New York Times – I think I can’t find the article again – that made me want to read it. I remember the review having a point that was something along the lines of ,”Feminism means that women get to be just as unlikeable and scary as men.” Obviously, this is not ALL that feminism means, but I was intrigued. And Amy – or Amazing Amy – is pretty damn unlikeable and scary. I know that I’m not supposed to like her . . . but I did sort of admire how smart she was in all of her planning. Obviously she is a bad person, but it was interesting to read about her. Similarly, her “Cool Girl” rant in the middle of the novel is a lot like some expectations and/or tropes of women in media, so I appreciated that. Is the the most amazing book I’ve ever read? No but I really enjoyed. It’s kind of sad how often I am shocked by the realization that popular books can actually be good! Anyone else read some good page turners this summer? This tutorial is from Erica Kern, but since it was for a craft for our Doctor Who Club at work I didn’t want to bring in my sewing machine. I’ll show you how to do it slightly easier, but still pretty cute! Finally, stuff of mine is going up a few times a month at WWAC. Check it out if you’re so inclined. It’s an amazing group of ladies, like I’ve said, and it’s so nice to have an editor. Editors make your writing so much better! This blog could definitely use one. Next ›Craft time: Easy Doctor Who Adipose Plushies!